Can we agree that whoever designed baby clothes with buttons up the back needs a bullet? And by the same token, the man/woman/angel responsible for adding zips to sleepsuits deserves a medal and a hearty hug from parents everywhere? Don’t get me wrong, I don’t *hate* poppers (I do hate buttons though), but even after two years and two babies, I can’t be counted on to do them up properly, and once that immobile newborn turns into a wriggly worm, your chances of getting it right diminishes. Fast. So praise be for the humble zip-up. They’re fast and accurate, making late night changes super easy, not to mention being a baby bag must-have for when you need to whip on a new outfit, quicker than you can say ‘leaky nappy’. I’ve scoured the malls and the internet to bring you some of my faves… happy shopping! A friend first introduced me to Bonds’ Zippys and Wondersuits when Phoebe was a baby and I fell for them HARD. The cotton is quite fine, so great for layering and when it’s warmer, and I love that the mitts and socks fold over e.g. you can get away with them being a bit on the small side if your little one has a growth spurt. Bonus points for two-way zips, so you can zip up from the bottom for changing, and the fact they go from newborn to 24 months. The best bit? The prints. There are some seriously cool designs, from cacti to Disney, plus classic stripes. You’ll also find a short sleeved, short leg version, and there are regular sales, with discounted prices around AUS$17/AED50. Shipping to the UAE costs AUS$20, and usually takes a week. Shop them here. 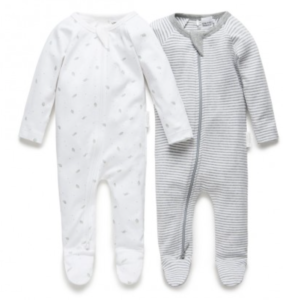 While the multi-pack sleepsuits have poppers, this British brand also sells zip-ups individually, with some lovely patterns, footless designs and quilted options for cooler weather, with sizes from newborn to 12 months, depending on the style. We have the cloud design and I love it. There are some currently online at half price, so you can pick one up from AED45. Mamas & Papas’ online shop is brilliant, with excellent customer service and next day delivery. Shop them here. This Australian brand (what is it with Aussies and zippies?) is famed for its gorgeously soft, 100% organic cotton. Seriously, it’s beautiful and just what you want next to your baby’s skin. There’s a store in Festival City, and you can also buy online via Mumzworld (don’t forget to use my code MOTHERSHIP10 for 10% discount. The 0000 newborn size is on the petite side, so perfect for preemie and smaller babies, and a pack of two sleepsuits costs AED150. And they have a double zip. Yay. Shop them here. 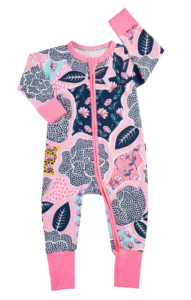 I was pleasantly surprised to see some zippies in Carters – and LOVE Phoebe’s flamingo design. There are some real bargains to be had, and while the quality isn’t the greatest, you won’t mind if you’re paying only around AED30. There are stores across the UAE. p.s. 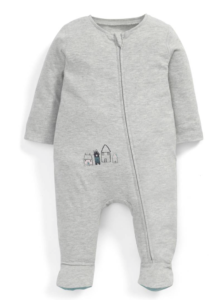 I’ve heard on the mummy grapevine that Cotton On has some zip-up sleepsuits too, but I haven’t tried them myself yet. Any others I should know about? 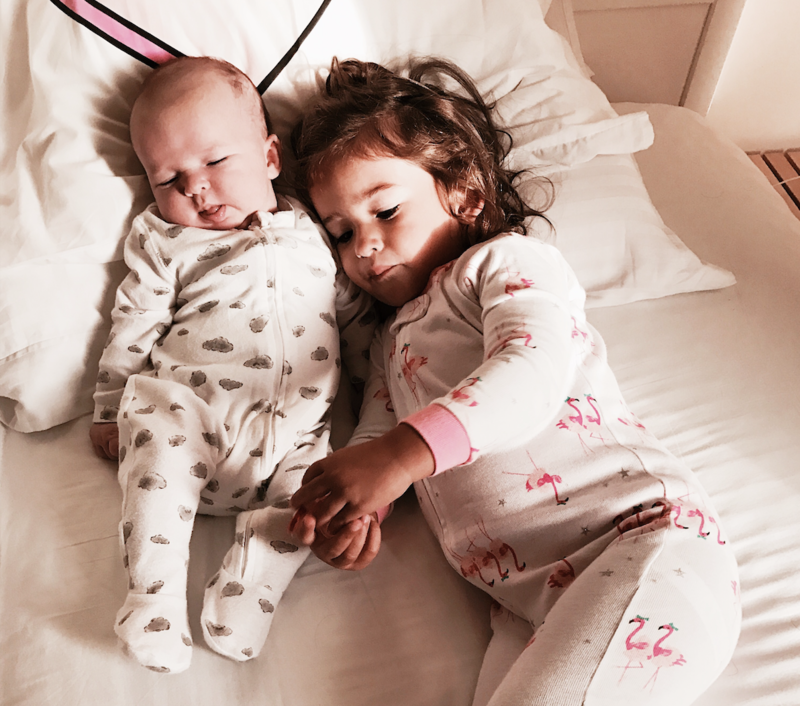 Pure baby organice sleep suits are really lovely worth 150 dhms I’D say.